There’s an old saying I’ve heard since I was a little girl. If snow stays on the ground more than a few days, it’s “waiting around for more”. This was our deck on Christmas afternoon. The snow you see here was left over from the snowfall of about 2 inches that we had 12 days earlier. That qualifies as waiting around for more. 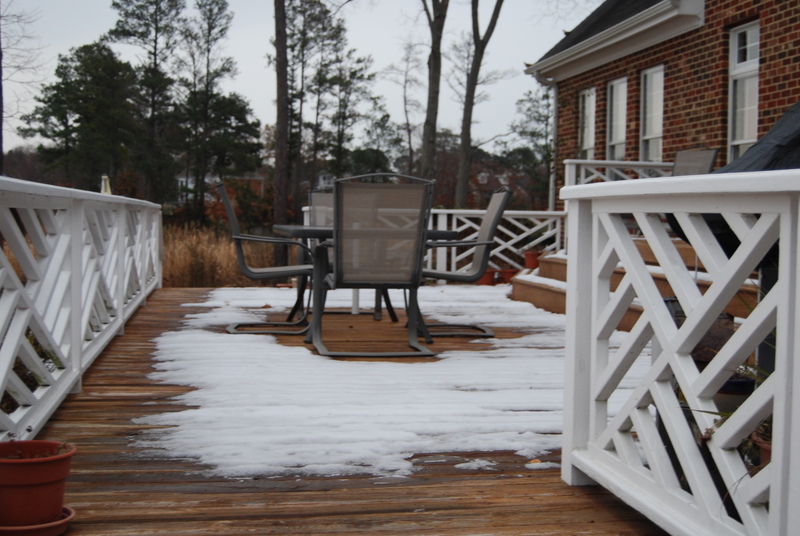 This is our deck the next day. 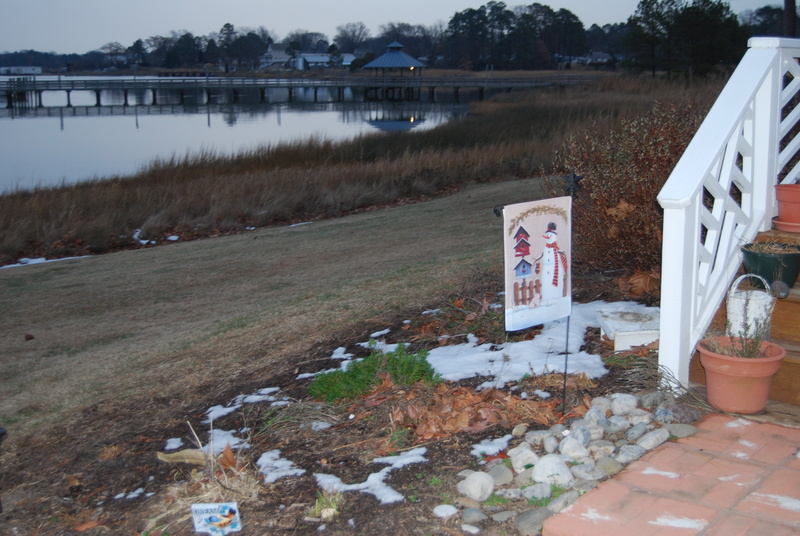 My snowman flag had a little leftover snow around it on Christmas day….waiting for more. My snowman flag this morning. There’s something to be said for those old sayings. More snow pictures in days to come. This storm was a doozy. This entry was posted in Days at Home. Bookmark the permalink. Now I know, you are the cause of the 2010 blizzard. Your snowman flag!!! Beautiful pictures. We are completely snowed in. 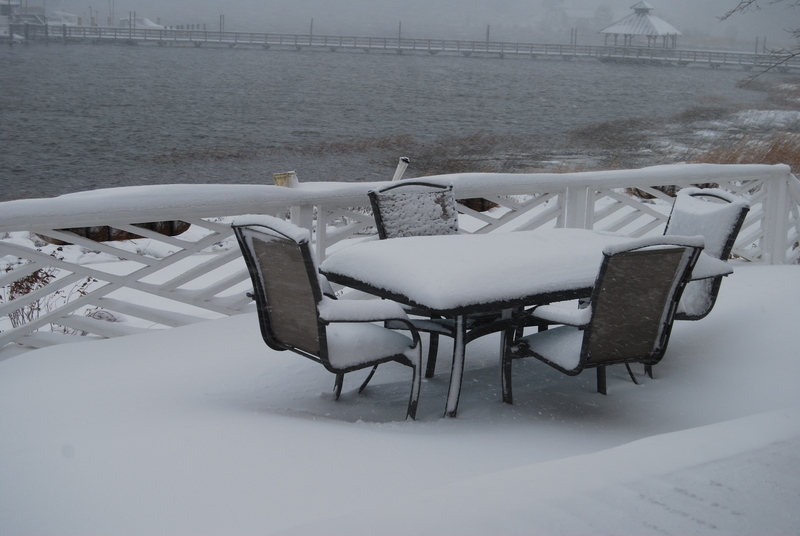 And I think we were just talking last week about the “snow waiting around for more”…..I heard Mama say that so many times. There’s a lot to be say for old sayings. That’s one of the many reasons we should learn from and treasure the past. As much snow as we have, it will be “around” for awhile. Hope that doesn’t mean more is on the way! 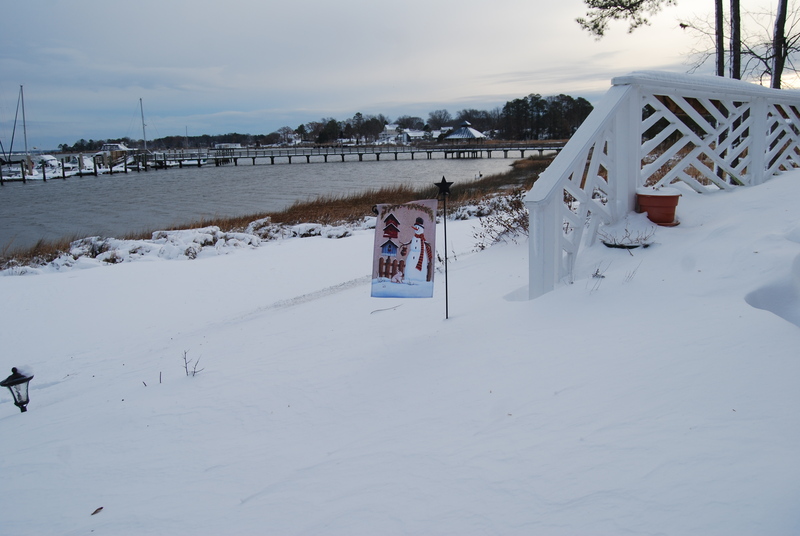 My mother who lives in Norfolk was out here for Christmas, and had just told me that saying- that the snow in our yard was waitng around for more snow to come- I had never heard it before- but I guess it’s true.